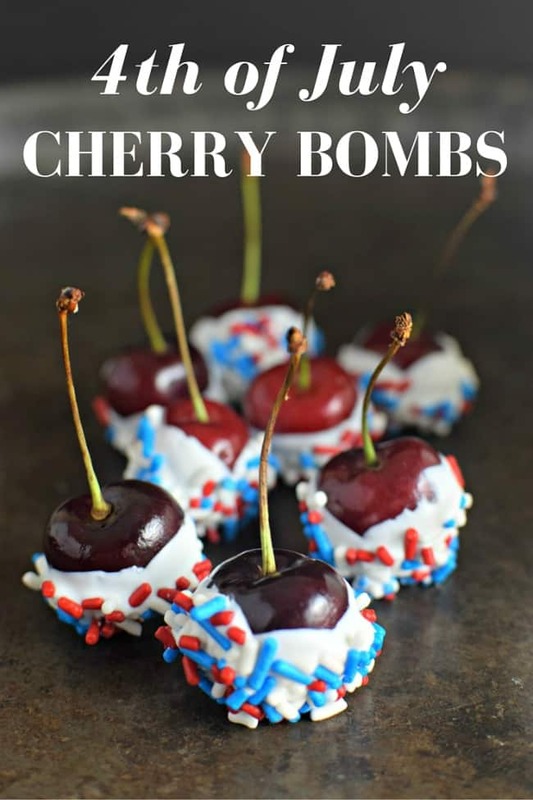 Have you ever heard of 4th of July Cherry Bombs? 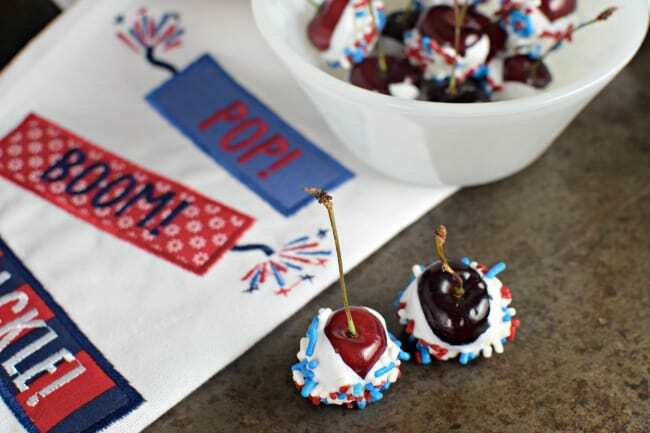 They are these little firecrackers that look like cherries as if that wasn’t a dead giveaway right? My brothers use to shoot them off when we were little kids. Probably not the safest thing for kids but that was in the 80s. Today, though, I wanted to show you a cherry bomb that is definitely safe for the youngins. 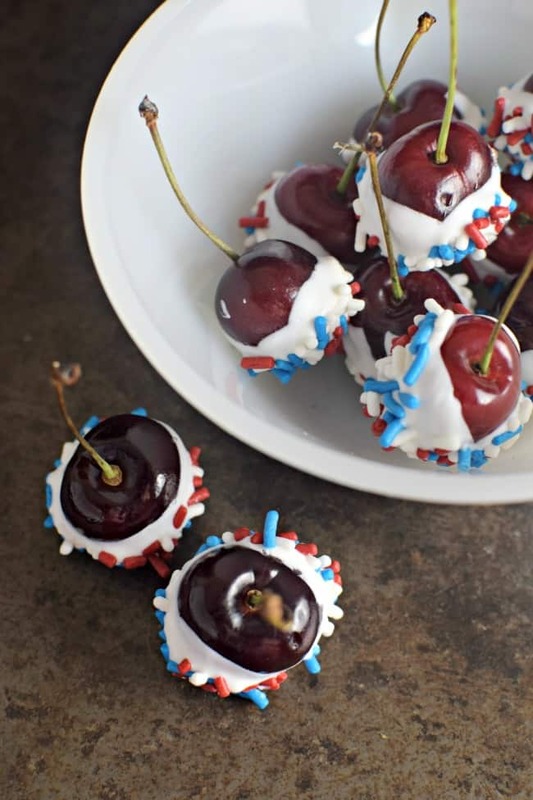 These yummy cherries are perfect for the fourth and Memorial weekend too. 4th of July Cherry Bombs! Wash and dry your stemmed cherries. Melt your candy melts. I like to use a melting pot. 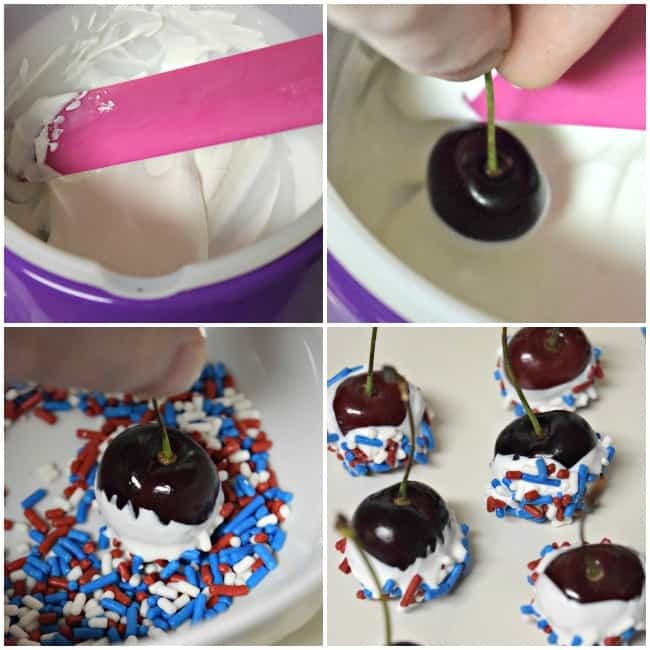 Dip your cherries into the melted candy and then dip into the sprinkles. You honestly can’t get any easier than this simple 3 ingredient dessert for the 4th. All you need to do is melt, dip and serve. I love to use a candy melting pot because it just makes things easier to stay warm enough to dip. The double boiler just seems clunky to me. So if you like to make lots of candy treats (especially when things need to be melted) then give the melting pot a try. So if you like to make lots of candy treats (especially when things need to be melted) then give the melting pot a try. 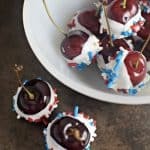 If you love this 4th of July Cherry Bomb dessert then you also might like these too.